The Humanity and Equality in Abortion Reform (HEAR) campaign is welcoming the news that, according to a freedom of information request published on the Treasury website, Customs and Excise have effectively seized potentially dangerous abortifacient chemicals that have been attemptedly smuggled onto the Island over the last 2 years. 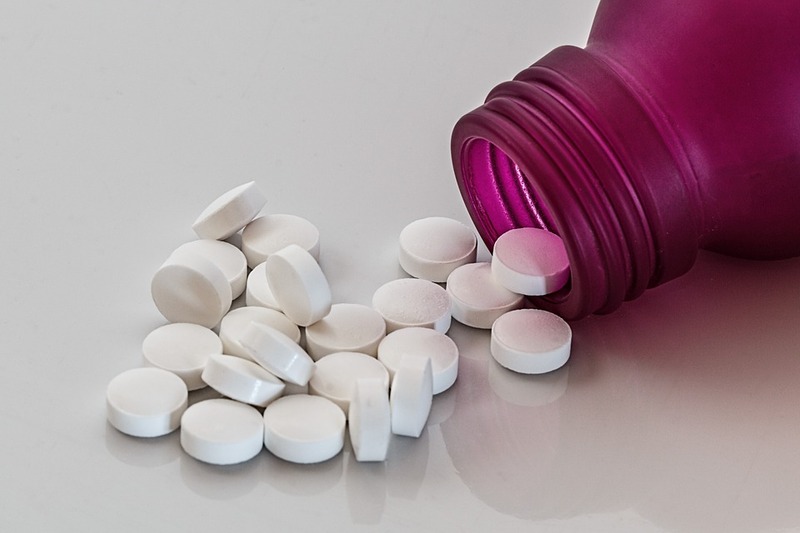 A 2015 study in the Journal of Clinical and Diagnostic Research stated that such drugs, when used unsupervised, can lead to “increased maternal morbidity and mortality”, and urged “strict legislations” to monitor and restrict their sale. The FOI request asked how many packages containing abortifacients have been seized by Customs and Excise in the last 6 years so far (2011-2017). They found that no packages were seized at all between 2011-2014, only 4 were seized in 2015, and 10 were seized in 2016, with only 1 seized thus far in half the year of 2017. All had a single abortifacient dose. These figures are helpfully illustrative, not just of the real picture of attempted abortion on the Island, but of the erroneous claims asserted (without evidence) by the abortion advocates seeking to change Manx law, and the dangerous consequences of their lobbying. Unless Customs and Excise suddenly became much more competent in intercepting illegal packages in 2016-2017, which is unlikely, the fact that no abortifacient chemicals were seized prior to 2016 suggests either that no attempts at smuggling were attempted, or that incidences of the same were extremely low (literally a handful each year). Given this, the recent claims made by the abortion lobby on the Island, claims made without any official statistical evidence whatever, that the fall in the rate of women from the Island going for abortions in the UK can be attributed to increased numbers of women using illegal abortion pills, are demonstrably false. If these abortion lobby claims were true, we would see a steady increase in the number of packages being seized over the period since the fall took place (from 2002-2016), commensurate with the fall in Manx women going for abortions. Instead, we have seen that decrease take place years prior to the reported advent of abortion pills being sold over the internet, with no packages intercepted in any case until literally last year. It is surely no coincidence however, that the sudden rise in abortion pills being intercepted by Customs and Excise, have occurred over precisely the same period that the abortion lobby began to agitate for regressively permissive changes to our abortion laws, partly on the very grounds that women were supposedly buying illegal pills online. This suggests that the increased awareness of such a possibility has led to some Islanders actually attempting it. Sadly then, abortion lobby activism has not only made unborn babies less safe in the womb, but has actually made women less safe by encouraging the smuggling of illegal abortifacients. “We welcome the seizure of these abortifacient chemicals, which are not only deadly to unborn babies, but potentially dangerous to pregnant women. The fact that these seizures have happened in the wake of the agitation for more permissive and inhumane abortion laws on the Island, tell us that another dehumanising side-effect of this advocacy has been to encourage women to endanger their own health and the life of their baby, rather than seek better alternatives for them both. Recently, abortion lobbyist Samantha Heard claimed that HEAR is “utterly deluded” not to agree with her that the fall in the number of abortions is due to women increasingly using abortion pills and submitting false addresses in the UK. The reality contrary to this is that she, and her fellow abortion lobbyists, have made naïve assertions without any probative evidence to back them up, based on nothing more than claims of anecdotal testimony and citations of abortion pill experience in other countries. As is said in statistical science, “the plural of anecdote is not data”, and as the English journalist (and right-to-lifer) Christopher Hitchens once said, “What can be asserted without evidence, can also be dismissed without evidence”. Just as the abortion lobby claims are baseless, they are also unreasoned, and increasingly undermined by real data. It is not only lacking in credibility that women would increasingly use false addresses over time (as nothing changed to make them do so), it is also incredible to believe that Customs and Excise would only seize illegal pills in the last year, but not beforehand, if women were truly attempting to smuggle them onto the Island in significant numbers. The latest assertions of abortion lobbyists, and their implications, simply make no rational or empirical sense. What data we do have shows that IOM abortions are down, and illegal abortion smuggling is extremely low (and cannot account for the decrease in Manx abortions in the UK). This shows that there is not a case for making the abortion law worse, so as to cater for increased demand for abortions generating a significant threat of illegal activity. The real answer to unplanned pregnancy is increased support for women and children, not a decrease in the respect that our society and law gives to the humanity, dignity, and rights of all human beings. Let us work to create a more compassionate society, especially towards pregnant mothers and those Islanders most vulnerable in the womb”.